Xbox modification has come a long way in the past couple years. With the introduction of the TSOP mod, potential modders no longer had to shell out money for a modchip; rather just bridge two points on the Xbox motherboard. Now one doesn't even have to open up his Xbox. Welcome to the world of soft modding. Using code exploits in certain games, a user is able to load a phony gamesave that will boot into a Linux based operating system and allow a user to mod his Xbox... in under ten minutes. Before I go on, soft modding voids your warranty. It is not illegal, but if something goes wrong, you can't return your console to Microsoft and expect them to send you a new one. A way to transfer two gamesaves from your PC to the memory card. Whether through Action Replay or using a friend's modded Xbox, etc. You will receive a private message from Xbins who will give you the location and login to the FTP. Once connected to the FTP, navigate to /XBOX/exploits/_Packages/Softmod Installer Deluxe/ and download the Softmod.Installer.Deluxe.v2.0.Xbox-Hq.rar file. 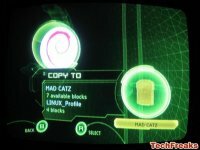 For this tutorial, we'll be using the Splinter Cell exploit. All exploits are pretty much the same. 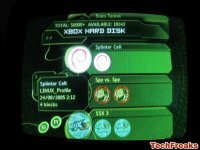 Extract the two .zip files (SID.Splinter.Cell.v2.0.Xbox-Hq.zip and SID.Splinter.Cell.v2.0.NTSC.Xbox-Hq.zip) from the RAR archive. 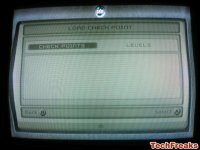 If you're using Action Replay, drag both zip files to your memory card. Then copy both gamesaves from the memory card to your unmodded Xbox. 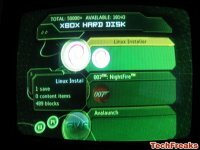 If you have access to a modified Xbox, you can extract both .zip files and FTP them over to the modified Xbox console, then using the MS Dash, copy both the Linux Installer and Splinter Cell gamesaves to the memory card, switch consoles and copy the gamesaves from the memory card to the unmodded Xbox. There should be two gamesaves. One should be 4 blocks (a linker file), the other 489 (the installer file). 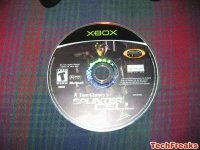 Start up Splinter Cell, select Start Game and press A. 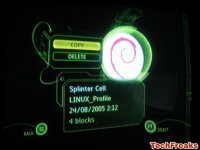 If you have never played Splinter Cell before, there should only be one available gamesave: Linux. Select it and press A. On the next screen, select Check Points (selecting Levels (in my experience) will cause the Xbox to freeze). The screen should turn black and approximately 10 seconds later, you will be greeted with an UnleashX intro screen and then an UnleashX control panel. 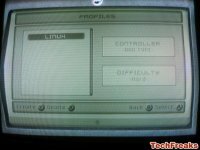 Now select the option, Create Mod Backup, which will backup your EEPROM. If you do not backup your c:\ and your EEPROM, recovering your console if something does go awry will be incredibly hard or impossible. Once you have backed up both the C:\ and EEPROM, select Install Softmod. This will mod your system. DO NOT TURN OFF YOUR SYSTEM. Let the mod install, when it finishes you'll notice that the installation prompt and status bar have disappeared. Because of the limited capacities of standard Microsoft memory cards, only the Evolution X and Unleash X dashboards have been included in this package. I prefer Evolution X, so select Install Evox and let Evolution X install. Once you have installed Evolution X, power off your Xbox and turn it back on. Make sure to eject your Splinter Cell game. 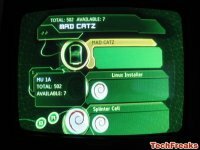 If everything went correctly, your Xbox should be successfully modded and you will be greeted with an Evolution X (or Unleash X) dashboard. Check out how to install a larger HDD in your modded Xbox in our latest guide.